Neo/Poly/Dex Opht. Suspension effectively relieves eye discomfort related to infection and/or inflammation. 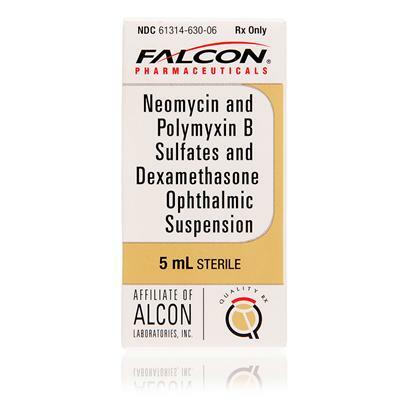 It is conveniently dispensed in either drops or ointment, and is used to treat everything from allergies and scratches to severe conjunctivitis. Outperforms all other types of eye drops tried. Drops prescribed by vet for chronic non-infectious conjunctivitis.